Love defies all, including age gaps – this is what Star Cinema’s newest blockbuster offering, “Love Me Tomorrow” has to say. This is something unusual since what most Filipinos got used to are romantic stories between a man and a woman of the same or almost the same age. 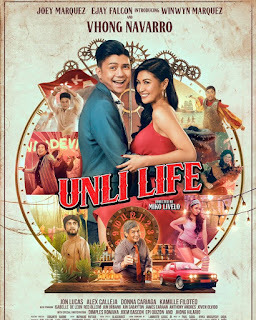 How will you handle the situation wherein you are torn between the love of a much younger lady and a much younger woman? It’s up for you to find out when this exciting romantic film hits the big screens on May 25, 2016. Piolo Pascual, who just had a tremendous success internationally with the 8-hour drama film “Hele Sa Hiwagang Hapis”, portrays the character of JC, a free-willed disc jockey. JC will be caught in a love triangle with a young socialite, Janine, played by Coleen Garcia, and a married fashion designer, Cristy, played by Dawn Zulueta. Nothing but intense and heartfelt dramatic scenes blended with realistic romance among these actors will be seen in this exceptional 2016 film of Star Cinema. Directed by the reputable director, Gino M. Santos, “Love Me Tomorrow” is indeed something to watch out for, especially for all hopeless romantics and fans of dramatic and romantic movies. There are a lot of questions and unexpected twists to anticipate for within the movie’s plot. Although many people say and believe that age doesn’t matter when it comes to love, it can’t be denied that there are still criticisms people can throw at a man who’s into a romantic relationship with a much older woman. But once you get to see this movie, you may get another perspective about what true love really means. 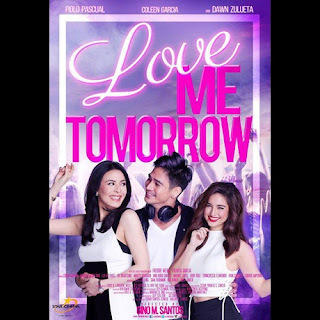 “Love Me Tomorrow” is generally a sugar-coated reflection and artistic portrayal of what the society appears to be when it comes to issues between love and age.